Suitcases packed and laptops and cameras in tow, these travel bloggers go near and far, experiencing all of the world’s beauties and sharing their best tips. We teamed up with 11 travel bloggers to find out their favorite memories from beach vacations in the Caribbean. Check out their suggestions on the best beach destinations in the Caribbean islands, including where to stay, what to do and where to eat. 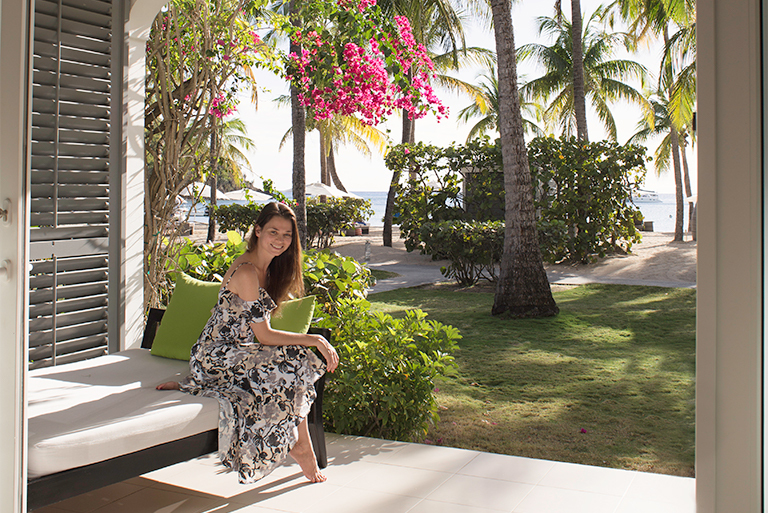 “In March, I visited the Rockhouse Hotel in Jamaica, which has been a bucket list item for me forever. 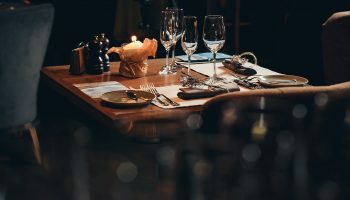 I rarely will travel specifically for accommodations, I usually will look more into experiences, but something about the Rockhouse caught my attention. With African rondavel accommodations on stunning rocky cliffs overlooking pristine turquoise lagoons, you couldn’t ask for anything more magical or unique. The Rockhouse really won me over with their focus on sustainability and community and of course their foundation. Through the generous support of donors and proceeds from the hotel, the Rockhouse Foundation has been able to give more than $4 million back to the community focusing on schools and education. They recently built an entire school for special needs because one of their employees had a child with special needs and the nearest school and support was in Kingston (at least a six-to-seven-hour drive). 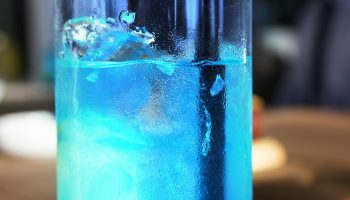 Unlike many of the all-inclusive resorts in the area, the Rockhouse really does an exceptional job of encouraging their guests to engage in the community, visit local restaurants and boutiques, and support the local economy. They also have a ton of programs on site to educate visitors about Jamaican music, organic gardening, their foundation and so much more. 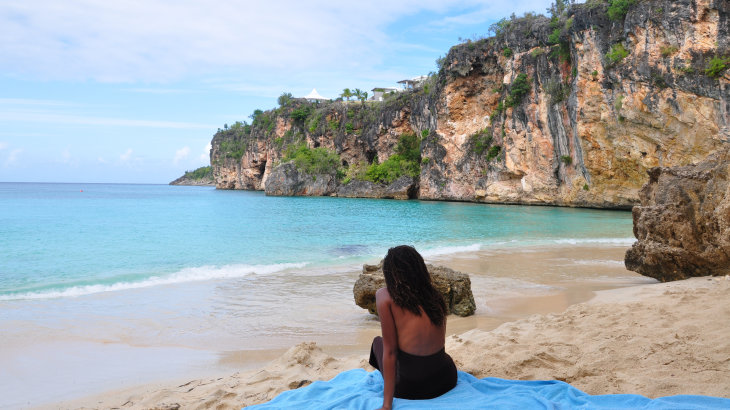 “One of my all-time favorite experiences in the Caribbean was visiting the gorgeous island of Anguilla with its calm waters, white powdery sand, and beautiful bays. Having visited many of the world’s most exotic places from Bora Bora to the Maldives, I can honestly say that Anguilla is one of the top luxury beach destinations in the world. I drove all over this beautiful island visiting beach after beach, including the famous Shoal Bay Beach, with my husband. One of the most memorable spots we visited was Little Bay Beach, which is only accessible by boat. We asked for Calvin at Crocus Bay, and he took us to the beach for an hour of relaxing and snorkeling. It’s a very secluded, hidden gem with amazing views nestled beneath the cliffs. Stingrays came over to the beach to hang out with us, and we had the beach to ourselves. A lovely afternoon! “One of my favorite experiences in Havana, Cuba was becoming a ‘maraca girl’ at a local restaurant called Union Francesca de Cuba. I had only intended on walking around Plaza Vieja upon my arrival when I was approached by a man with a pink convertible promising to show me the ‘real’ Cuba. Before I knew it, we were cruising around the island’s top sights and ended up at this restaurant, for the live music and mojitos. When I tasted the mojitos in Havana, it became painfully clear that I’d never had a real mojito before, just a spearmint filled imitation. Emboldened with a bit of liquid courage, I started singing along and swaying to the music in my seat. 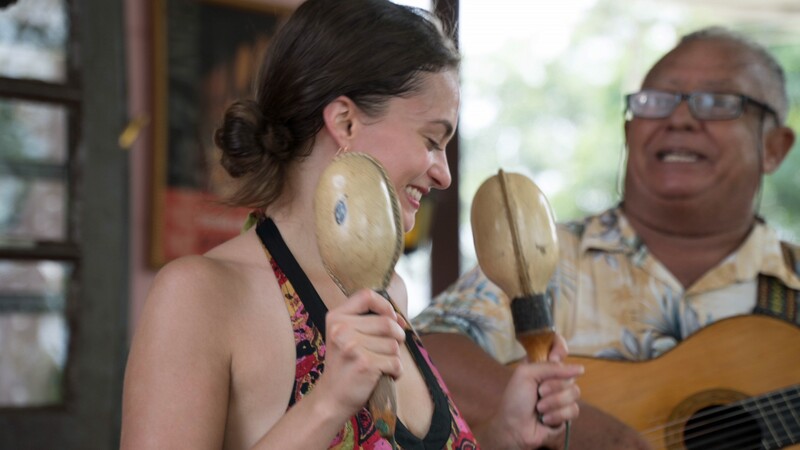 That’s when the guitarist approached me with maracas in hand and asked me to join him. I was hesitant to take him up on his offer as there were other patrons at the restaurant watching the performance. In the end, though, I figured it would be a shame to sit idly by instead of joining the party. 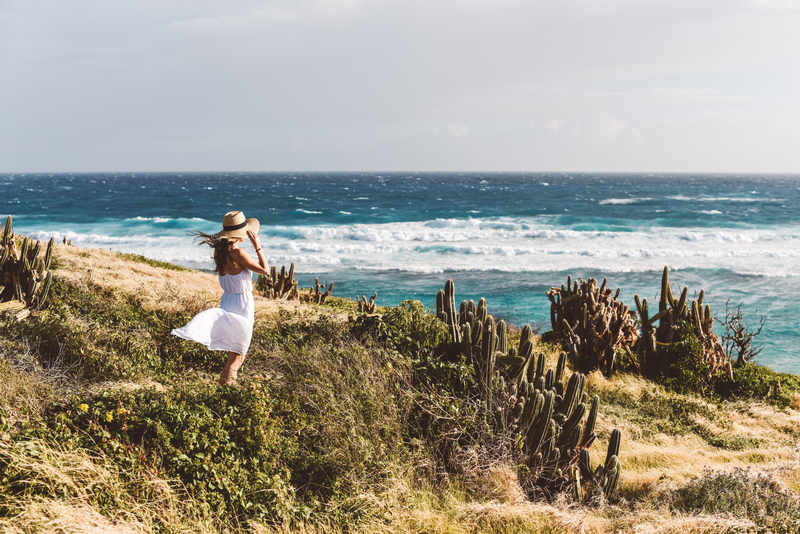 “In January, I traveled to St. Croix on a last-minute getaway, and it blew my mind how much I really loved it. I booked the flight because I found a great deal, sub-$200 round trip leaving on Friday, returning on Sunday and honestly going into it I didn’t really have any expectations, I just thought I would check it out. I told a few people and mostly heard negative comments about it, but I found the outdoor experience to be pretty in line with Hawaii, minus the surfing. 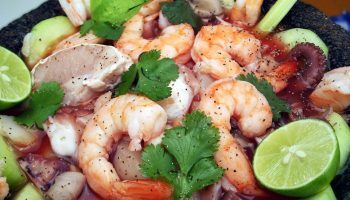 “My best Caribbean experience was a spring break trip I took with my six-year-old son to the Grand Cayman Islands to stay at the Kimpton Seafire Resort & Spa. There are so many kid-friendly activities on the island, including swimming with turtles at the Turtle Farm, kissing stingrays at Stingray City, exploring the depths of the Cayman Crystal Caves, and, of course, lounging poolside, soaking up the Caribbean sun at our fabulous hotel. But our favorite activity was a visit to Starfish Point, a free public beach near Rum Point on the north end of the island. 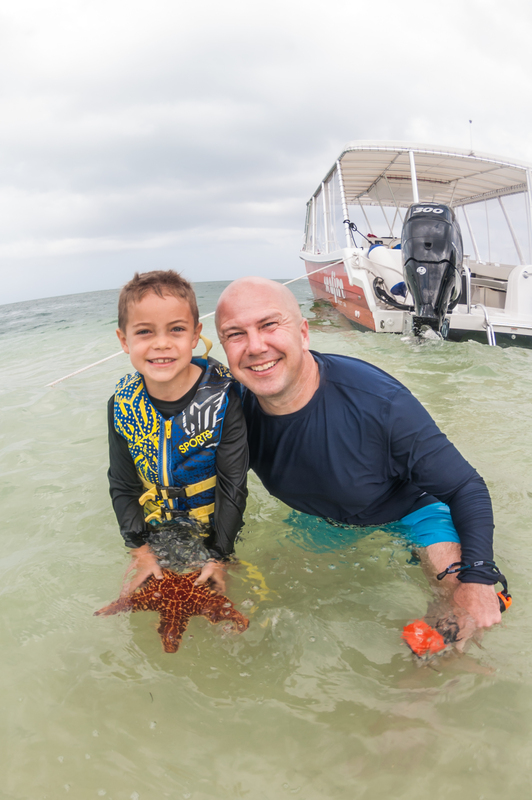 The Caribbean water is warm and calm, which is a perfect setting to get up close and personal with the plentiful starfish. “Even though it’s technically a territory of the United States, there’s no disputing the fact that Puerto Rico is a Caribbean island. It’s situated in the Caribbean in between the island of Hispaniola and the Virgin Islands and has all the trappings of a fantastic Caribbean getaway: beautiful beaches, a tropical climate and an interesting history and culture that permeates every city. But the thing that really struck me about Puerto Rico? The fact that there’s so much crammed into less than 30,000 square miles. For example, you know about the beaches and cool cities like San Juan… but did you also know that Puerto Rico has mountains and even a tropical rain forest? 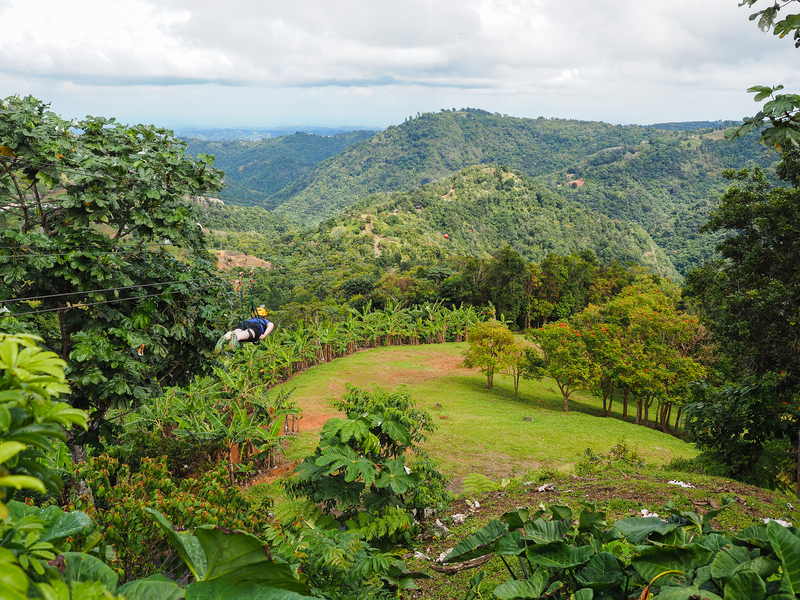 On my first visit to Puerto Rico, I spent a morning at Toro Verde Adventure Park in Orocovis, which is in the heart of Puerto Rico’s mountainous center. Not only were the zip lines epic and adrenaline-inducing (not to mention long; they have one zip line that stretches for 2.5 kilometers! ), but Toro Verde also has some of the best zip lining views I’ve ever seen. Lush mountains covered in tropical plants makes for green vistas as far as the eye can see. Even though this isn’t the ‘typical’ Caribbean view of beaches and palm trees, it was still stunning. “As a fourth-generation Florida girl, I have a lot of fond memories in the Caribbean. After all, the perfect turquoise waters of the islands are just a quick hop away from our also-tropical state! I can’t resist a getaway to Hope Town Harbour Lodge or a luxurious escape to Nassau. However, the old saying is true: every experience is more special when you share it with someone you love. 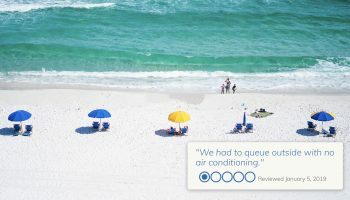 My husband and I are avid travelers, but we usually go it alone–until one off-season, when we found a killer JetBlue deal from Fort Lauderdale to Turks and Caicos and convinced our best friends to join us for a long weekend in the islands! 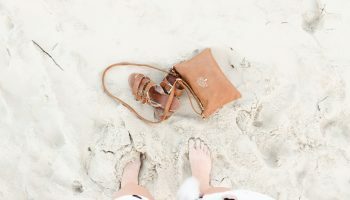 We found a great little Airbnb a short walk from the beach (and an even shorter walk from the gorgeous Grace Bay Club) and spent four days and four nights roaming around barefoot, sun-kissed, rum-buzzed and blissful. We woke up to watch the sunrise. We stayed out way too late causing a ruckus. We dressed up for nice beachfront dinners. We found our way to the local grocery store and rummaged together peanut butter sandwiches. We went paddle boarding, boating, kayaking and wakeboarding. We saw dolphins and flew drones; we argued and we laughed. “I loved my stay at Carlisle Bay in Antigua. It’s so hard to find a real family friendly five-star resort — and Carlisle Bay manages to do it all so well. Antigua is a gorgeous island, very friendly and completely safe. You can go anywhere in Antigua, and that makes it perfect to visit with a family. And, as soon as you walk into the resort, you instantly relax and feel pampered. First of all, Carlisle Bay is just gorgeous. The rooms all have terraces and there is a lovely day bed on your terrace. It’s the perfect place for an afternoon nap for a little one. Plus, the kids camp is terrific – I loved their schedule and it keeps the kids busy all day. In addition to that, the food is just outstanding, and there are four restaurants on premises. 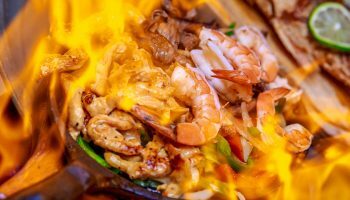 The restaurants offer a variety of choices – everything from super healthy to kid-friendly. If you have a chance, try the fresh tuna salad at the Indigo On The Beach restaurant – the best tuna I’ve ever had. One of my favorite experiences at Carlisle was the afternoon tea. You can get the tea delivered anywhere in the hotel – to the beach, to your terrace, anywhere you’d like. The staff brings you a pot of fresh, delicious tea, and little sandwiches. It’s very fun and fancy – and again, perfect for kids. “Looking for a great dive shop in the Caribbean? 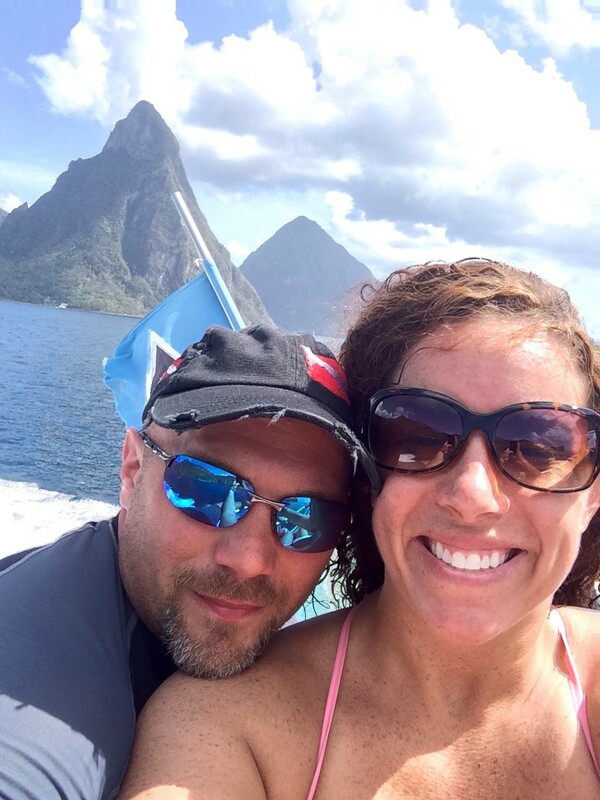 During our first trip to St. Lucia, we went scuba diving for three days with the dive operator Dive Saint Lucia. The dive shop is brand new, pristine and has all the latest technology. Have a travel buddy that doesn’t dive? You can choose to snorkel or dive with Dive Saint Lucia. Everyone goes to the same site. The dive masters went out of their way to make sure we never dove the same site twice. In between dives, they fed us a delicious homemade hot lunch. “The balmy air smells slightly of salt. The Baroque-style colonial buildings dazzle with their architecture. Lush tropical foliage thrives in the many city parks. Music wafts from cafes and pedestrianized streets. Classic American cars from the 1950s cruise by the multicolored buildings. You’re in Havana, Cuba’s lively, friendly capital city. Take the double-decker, hop-on-hop-off bus in the city center in front of the National Theater. For 10 CUC—about $10—the bus will take you all over Havana to places you are unlikely to see otherwise. 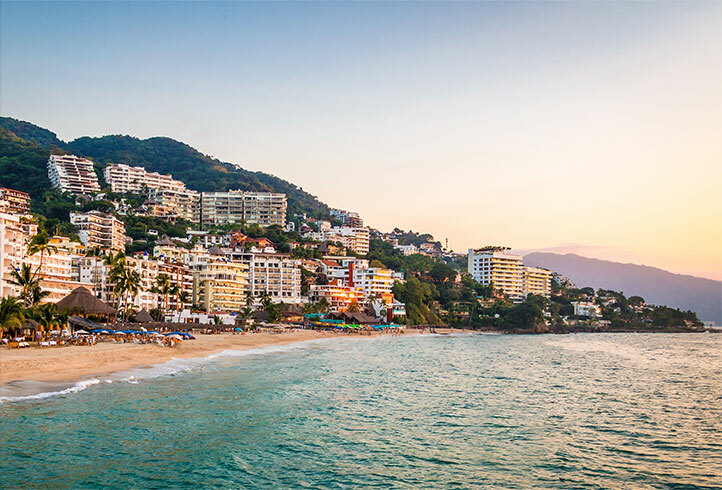 Another one of these buses will take you to the fabled “Playas del Este” or Eastern Beaches where you can spend the day exploring what is generally considered one of the most beautiful beaches in the world, drinking mojitos and eating fried fish. This area also has some of the best paladares or private restaurants in Havana. 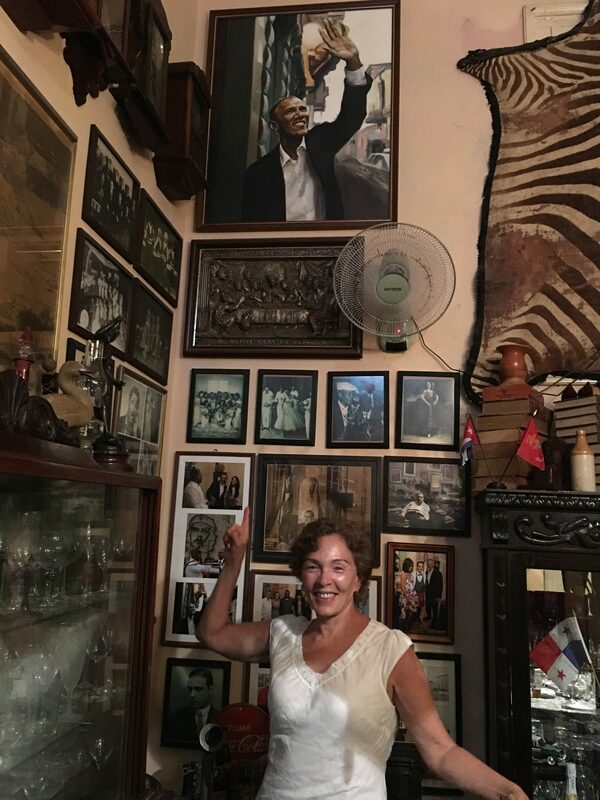 Two IG worthy gems that you will be raving about for years are La Guarida, perhaps the most photographed paladar in Havana, and San Cristobal, where President Barack Obama had lunch during his historic visit. And yes, it’s that good! 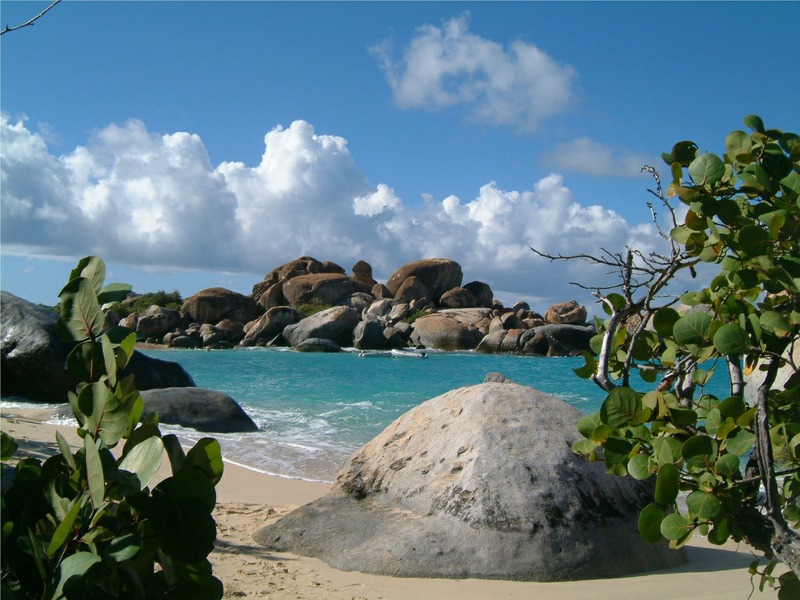 “One of the ports of call we visited from our Disney cruise was Tortola, British Virgin Islands. 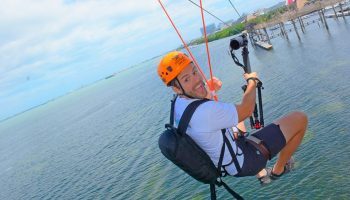 Of the many exciting options for excursions on this beautiful island, we chose the zip line! We, me and two kids, used the Original Canopy Zip Line Tour company for our experience and I was delighted. They picked us up from the port and carried us straight to their spot in the jungle. After a very detailed safety briefing, we suited up and were ready to go. You have to walk up a bit to get to the starting point but it was no problem at all for us and wasn’t too far or steep. The walkway was smooth and quite shaded and we really enjoyed walking among the lovely trees and greenery. The Original Canopy Zip Line is unique in that it has seven different times to zip through the trees which gives you lots of opportunities for fun. Safety is a main concern on any adventure when you have the kids along. Not only was there a safety briefing, but equipment in a wide variety of sizes, which made me feel really good about the kids (kids are not just smaller people – they need stuff created with them in mind). The equipment is a patented system called SYPLINE. The zip-line crew was a relaxed, comfortable and very warm group. They were patient with the kids and even more so with me because I was the scaredy cat at first! Tortola is absolutely gorgeous and this was an amazing way to experience it. I highly recommend this company! 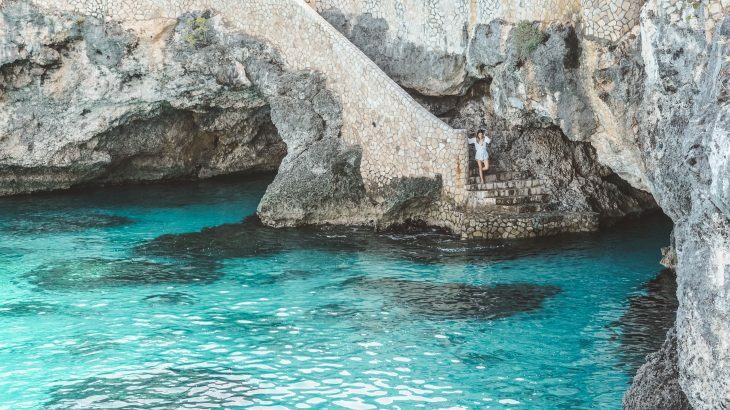 “Though I’m a proud visitor of many cool and quirky places in my travels (and this is no exception), it’s kind of awkward for me to be saying this out loud: I planned my holiday and cruise itinerary based on an Instagram post! What made me make this decision? 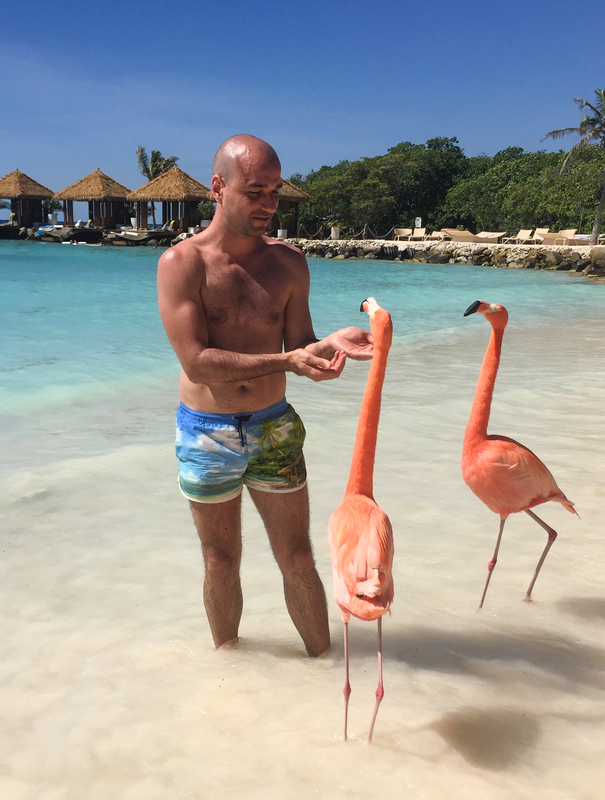 A sandy beach, a postcard perfect scenery with palm trees, gorgeous weather, cool drinks and real, bright colored, social and photogenic flamingos roaming around! Was it as gorgeous as it looks on the photos? Definitely! Was it a small beach, crowded with ambitious Instagrammers, and were the flamingos annoyingly loud and full on themselves? That’s true as well! Should you visit it? Big yes! 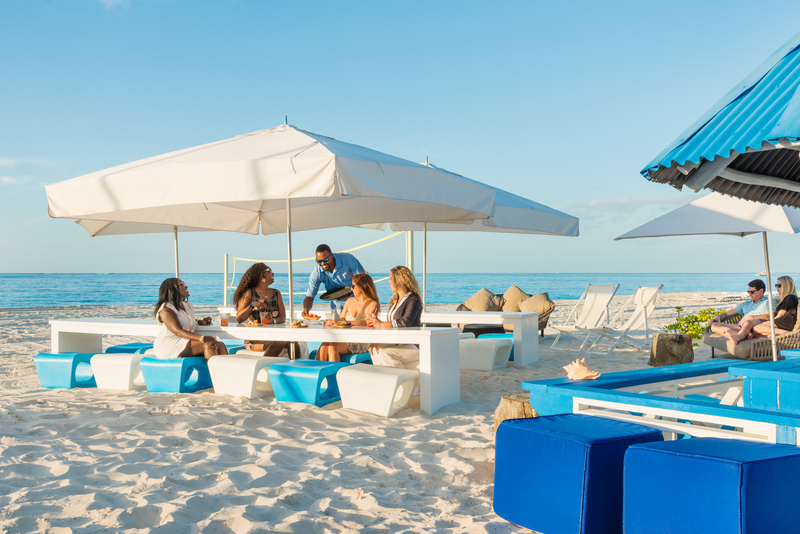 Few tips on planning your visit more effectively, since it’s a private island owned by the Renaissance Aruba Resort & Casino. The easiest way to ensure access to the island is by booking a room. However, that would cost you at least $100. Buy one of the limited passes issued daily, but you’d have to be there very early in the morning. Or, book a spa treatment, the facilities of which are on the island itself. Either way, there’s no package cheaper than $100+ though.